It has never been easier to save with Ige vacation packages on Expedia. You'll have plenty more time to plan the exciting stuff — and more cash to splash! With us, you've got more than 400 partner airlines and 321,000 worldwide properties to choose from around the world, which means your dream vacation is right there at your fingertips! You never have to worry about changing your group's travel itinerary, as we don't charge additional cancellation fees for almost all of our reservations. It can be really nice to just roam the streets in a new place, but sometimes it's a wise idea to form a plan. Grab your schedule — we have heaps of awesome ideas for your Ige vacation. Love to add some deeper meaning to your vacation? Make a pilgrimage to Saint Sauveur Church. Regardless of your beliefs, it's a wonderful place to observe and find out about the local religion. Still have some time on your hands? If you'd like to bump a few strokes off your score, then head over to Belleme Golf. Grab some clubs, improve your technique and chat to the locals at the 19th hole. Seeking luxury getaways or cheap vacations in Ige? Expedia lists just 4 options, so now's the time to book your room. 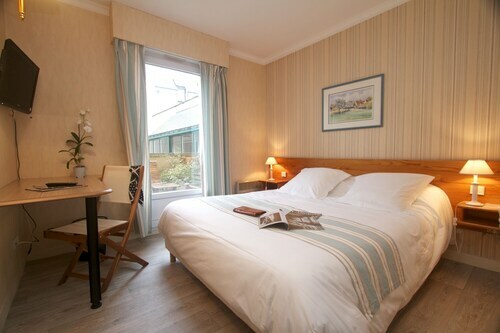 If you're searching for properties with great reviews and snuggly beds, look no further than the Normandy Country Club (Domaine du Golf de Belleme) and the Relais Saint-Louis (1 Boulevard Bansard Des Bois). Got your hands on the plane tickets for your trip to Ige yet? When you land, prepare to stroll out into Arnage Airport (LME). It's 30 miles (48 km) from here to the center of town. Situated in La Ferte-Bernard, this hotel is within 16 mi (25 km) of Ecomuseum of the Perche, Aquaval Complex, and Chateau Saint-Jean Museum. Fountain of Belleme and Saint Sauveur Church are also within 20 mi (32 km). La Ferte-Bernard Station is 23 minutes by foot. Situated in Cerise, this hotel is 2.1 mi (3.4 km) from Chateau des Ducs and 2.2 mi (3.5 km) from Musee des Beaux Arts et de la Dentelle. Le Musée du Vélo and Jardins de la Mansonière are also within 12 mi (20 km). Alençon Station is 28 minutes by foot. 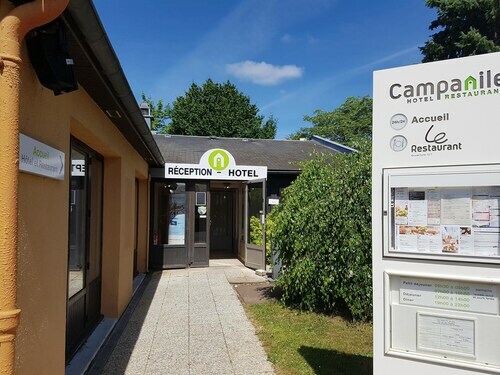 Situated in Mortagne-au-Perche, this hotel is 0.1 mi (0.1 km) from Church of Notre Dame of Mortagne-au-Perche and within 9 mi (15 km) of Church of Saint -Barthelemy-Pin La Garenne and Sanctuaire Notre-Dame de Montligeon. The Museum of Tourouvre and Eglise de Saint Martin du Vieux Belleme are also within 12 mi (20 km). 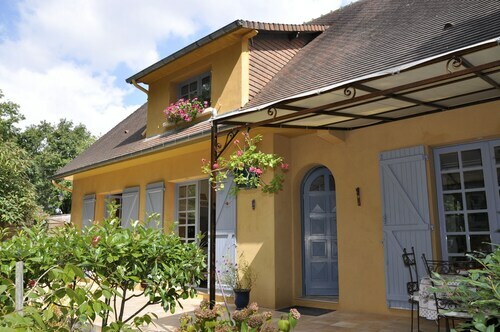 Situated in a rural location, this bed & breakfast is 12.1 mi (19.4 km) from Aquaval Complex and 12.3 mi (19.8 km) from Chateau Saint-Jean Museum. Ecomuseum of the Perche and Fountain of Belleme are also within 20 mi (32 km). Located in the heart of La Ferte-Bernard, this hotel is within 16 mi (25 km) of Ecomuseum of the Perche, Aquaval Complex, and Chateau Saint-Jean Museum. Fountain of Belleme and Saint Sauveur Church are also within 20 mi (32 km). La Ferte-Bernard Station is 20 minutes by foot. Situated in Condeau, this spa hotel is within 12 mi (20 km) of Chateau Saint-Jean Museum, Courboyer Mansion, and Domaine de l'Abbaye. Ecomuseum of the Perche is 12 mi (19.2 km) away. 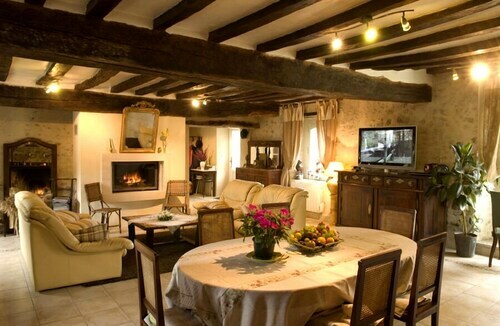 Situated in a rural location, this bed & breakfast is within 6 mi (10 km) of Fountain of Belleme, Saint Sauveur Church, and Ecomuseum of the Perche. 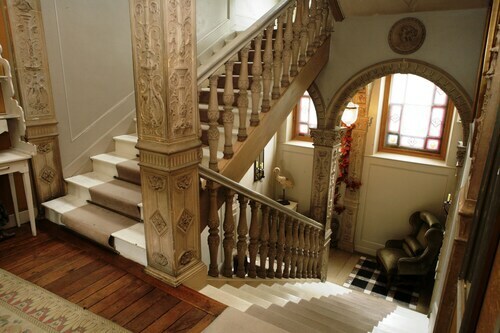 Eglise de Saint Martin du Vieux Belleme and Courboyer Mansion are also within 9 mi (15 km). 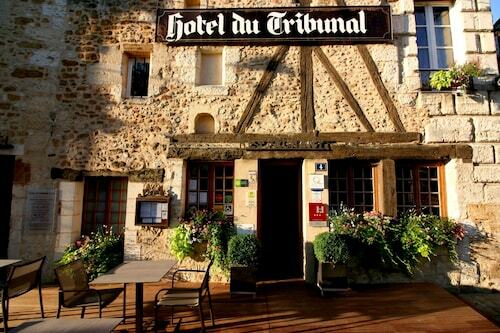 Situated in Nogent-le-Rotrou, this hotel is within 1 mi (2 km) of Aquaval Complex and Chateau Saint-Jean Museum. Conde-Sur-Huisne Cathedral and Le Ballastiere Lake are also within 6 mi (10 km). Nogent-le-Rotrou Station is 12 minutes by foot.